This lovely Festive Christmas Gift Basket is a fine way to wish, friends, family, business associates and loved ones a Merry Christmas. 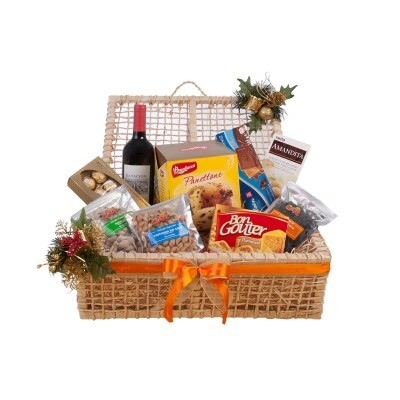 Full of delicious products (wine, panettone, parmesan chips, wafer, Ferrero Rocher bonbons, gourmet biscuits, Brazilian nuts, pistachios and raisins) this gift will be a huge success and will be remembered. Exclusive wrapping and gift decoração de Natal.